Chattanooga's EPB Fiber Optics now offers 10 gigabit Internet service to all households and businesses in its service area. The ultra-fast service is available for $299 per month with free installation, no contracts, and no cancellation fees, announced community leaders at a press conference on October 15th. In addition to 10 gig service, EPB is also offering "Professional" products available in 3 gig, 5 gig, and 10 gig for large businesses. Smaller businesses have the option of choosing 5 gig or 10 gig Internet products. According to the press release, prices on all the new products vary. Since the network was launched in 2010, Chattanooga has transformed from one of the "dirtiest cities in America" to a haven for the entrepreneurial culture. Chattanooga experienced explosive economic development leading to thousands of new jobs, substantial public savings due to the network's smart grid capabilities, and new educational opportunities for students and workforce development. 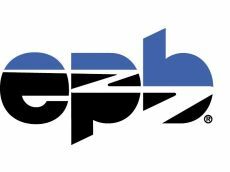 The city created a standard other communities strive to achieve; we often see communities aiming for the $70 gigabit price point offered by EPB. As a leader for other municipalities, it is only fitting that Chattanooga has taken this next step forward. Read more about Chattanooga's journey to become a gigabit community in our 2012 report, Broadband At the Speed of Light: How Three Communities Built Next-Generation Networks.